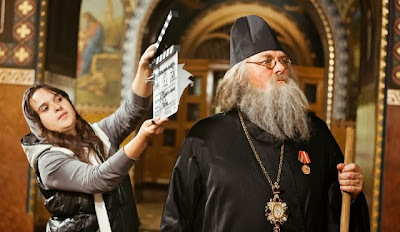 The film "Luka" is the dramatic destiny of the great surgeon and a priest — V. Voyno-Yasenetsky (Luka). The year was 1917. Young doctor Valentin Voyno-Yasenetsky with his wife and four children moved to Tashkent, beset by civil war. Voyno-Yasenetsky became head physician in the city hospital. He not only saved hundreds of patients every day, operating under the bullets of the permanent street battles, but he fought for his life and the life of his beloved wife, dying of TB. In the midst of communist persecution, he was alone with four children on the outskirts of the former empire, so he decides to become a priest. And since then, he never gave up either scalpel or cross, and he went with them through all their hard exiles and arduous life, treating both body and soul.